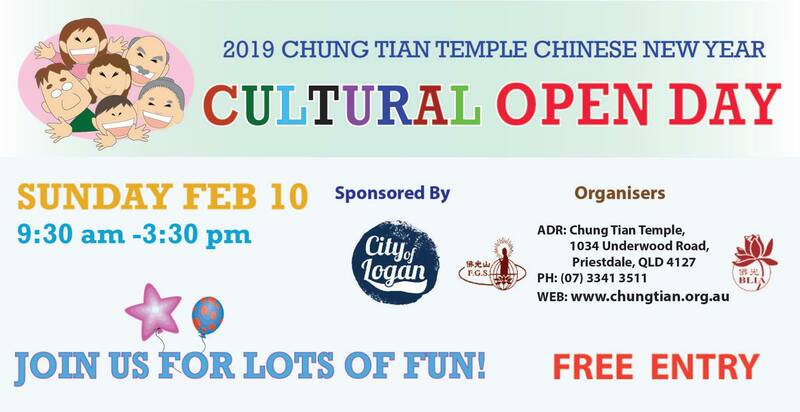 Karen & Steve will present Ready Set Discover Logan at Chung Tian Temple, Priestdale part of a FREE Cultural Open Day. 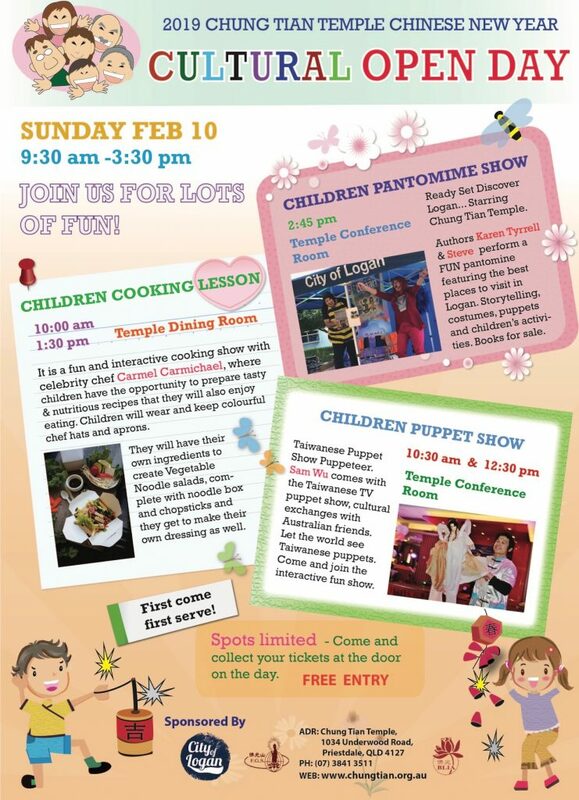 Children watch an interactive storytelling show with costumes and puppets highlighting Logan’s best places. Later, children complete FUN activities. 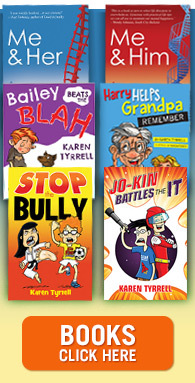 Afterwards, Author Karen Tyrrell will sign books for sale. 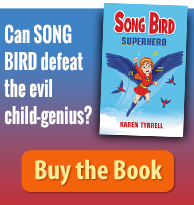 Who is Karen Tyrrell Author? 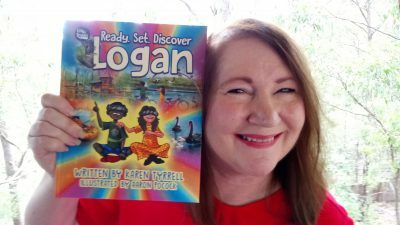 Meet Karen Tyrrell, Logan author and school teacher. 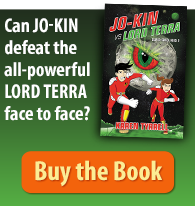 She writes books to empower kids to live strong. Her books are about bully prevention, resilience, self-care and taking care of the environment and more. She’s won 3 awards and 4 grants including an Arts Queensland grant for, Ready Set Discover Logan. Its sponsored by Logan City Council. What is Ready Set Discover Logan Pantomime? 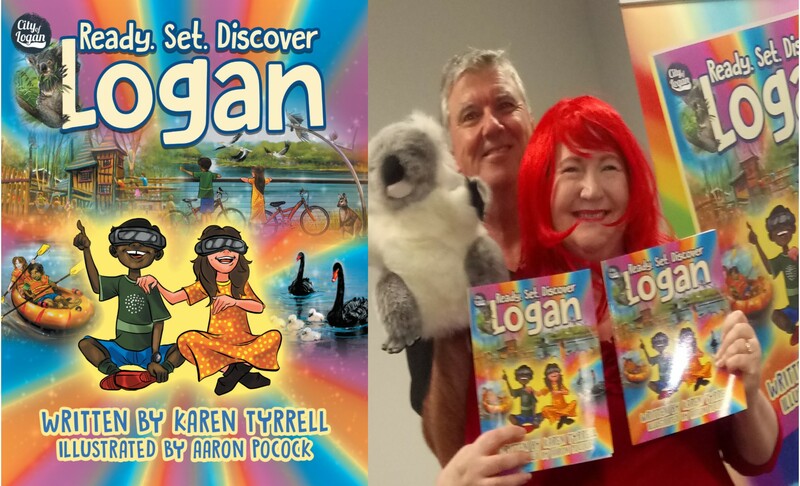 Ready Set Discover Logan is an award-winning children’s picture book. 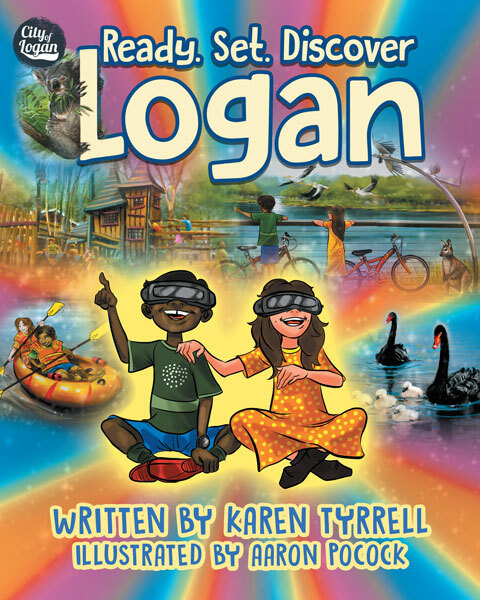 Bunji, an aboriginal boy and Yana, a migrant girl, seek friendship and acceptance in Logan City, while searching for #14 BEST places for children. When does Ready Set Discover Logan pantomime begin? Ready Set Discover Logan Pantomime starts at 2:45 pm in the conference room. After the Baby Blessing Ceremony and Lion Dance finishes in the Temple nearby. Kids, come watch the pantomime! Find out the BEST places to visit in Logan including the Chung Tian Temple. Chung Tian Temple is one of Brisbane’s premier tourist destinations. Teacher resources and activities can be downloaded at the author’s website. Can you please Share this FREE Event? Lovely to meet you here. Look forward to meeting you at my Ready Set Discover Logan Pantomime.